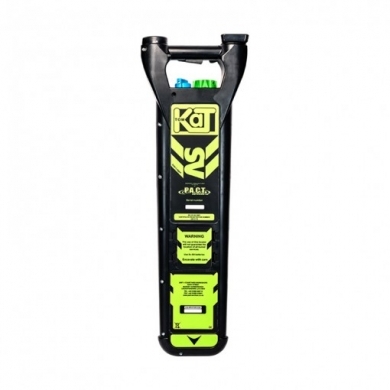 The TOMKAT sv data logging software calibrated cable locator incorporating an OLED display. With this locator you can download to an excel spread sheet the date time and how long the locator is used. At the same time checking the serial number cal due date and number of records recorded. As a special safety feature the cal due Indicator comes on at 12 months and at 13 months cal stop locks the locator. This is to ensure your equipment checked tested and calibrated by authorized professional engineers. To complement the TOMKAT sv Data logger we recommend using our SIGEN+ signal transmitter. The TOMKAT sv Data logger along with the SIGEN+ offer many features designed to assist in the avoidance of buried services. This along with the manufactures calibration ensures your equipment is in good working order. This will significantly help in reducing your strike rate. Whether you are new to the TOMKAT family or an established user there is no doubt that this location equipment is exactly what your business needs. So why not give us a call today to experience all that the TOMKAT sv Data logger & SIGEN+ can offer you.